Facing criminal charges and need questions answered? Talk to Attorney Dan Griffin For FREE. 5-Star Rated: I always answer my phone. Former State Prosecutor for the Attorney General. Figure out how to win your case today. Mr. Griffin is a knowledge, trustworthy attorney. Informative and easy to communicate with. Dan is responsible, on time, available and easy to contact. Dan is a knowledgable and confident attorney. I felt completely secure and relaxed working with him. Humble and trustworthy!!! Thanks Dan!!! Dan is a straight up kind of guy. Very professional and very down to earth. I would suggest anyone in need of an attorney call Dan! Dan is the man! I consent to RI DUI Lawyer & Rhode Island Criminal Defense Attorney | Law Office of Daniel Griffin collecting my details through this form. Getting arrested and charged with a crime is a scary and often times confusing scenario for most people. Whether you have been charged with a felony, a misdemeanor, or a DUI/Refusal, you are entitled to a number of rights under the law. Most importantly, you are entitled to hire a lawyer to advocate on your behalf. You need an attorney who has the skills and experience to aggressively fight for you. As a State prosecutor, Dan Griffin has handled all types of felony, misdemeanor, and DUI matters in the State of Rhode Island. Never afraid to go the distance, Dan took numerous cases to trial with much success. 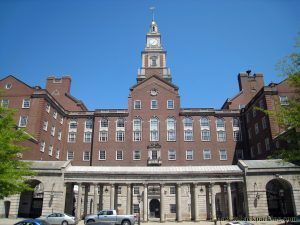 He has practiced in all courts throughout the state and is also licensed to practice in Federal Court and in Massachusetts. Dan is skilled in the courtroom and is dedicated to working tirelessly for his clients. He purposely keeps the number of criminal case clients small so as to provide them with the attention and dedication each of them deserve. Dan is well aware of the debilitating consequences a DUI or a criminal conviction can have on a person’s reputation and overall future. If you have been arrested or charged don’t trust someone who is less skilled and less experienced. Contact Dan immediately for your free consultation. A criminal charge can be one of the most stressful events you go through in life. This traumatic experience often leaves people who have never been arrested, with seemingly no options. If you find yourself faced with criminal charges and the possibility of fines, jail, and a permanent criminal record, seek legal advice and representation from an attorney with experience. Rhode Island criminal defense lawyer Daniel Griffin will be your legal counsel. For years, RI criminal defense lawyer Daniel Griffin was a prosecutor for the attorney general- he knows how both sides operate. The most important thing to look for when in need of a Rhode Island criminal defense lawyer is experience, and attorney Daniel Griffin has the knowledge and dedication to defend your criminal case. Daniel Griffin is here to fight for your rights around the clock. A criminal charge is a serious matter that requires a quick response and plan. RI criminal defense lawyer Daniel Griffin focuses his practice on the counsel of citizens charged with criminal offenses in Rhode Island. The Law Office of Daniel Griffin offers the caring, tireless, and affordable representation you deserve. Whether it is a misdemeanor or felony, RI criminal defense attorney Daniel Griffin will appear in any criminal court in Rhode Island. 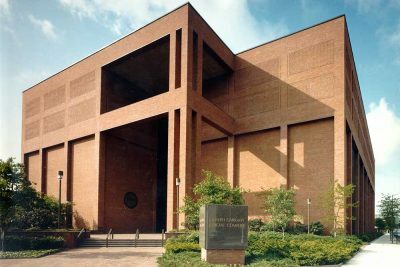 These include Rhode Island district courts such as: Providence and Bristol Counties, Kent County, Newport County, and Washington County. 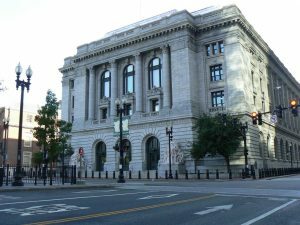 RI criminal defense lawyer Daniel Griffin is also licensed to appear in all Rhode Island superior courts: Providence, Kent, Newport, and Washington. You deserve the best defense possible. When you assign Rhode Island criminal defense lawyer Daniel Griffin to your case, you will have a former prosecutor in your corner; someone who knows both sides of the court. You will have a knowledgeable and experienced Rhode Island criminal defense attorney representing you in all RI courts. Communication is extremely important, and Rhode Island criminal defense attorney Daniel Griffin will assist in informing you and providing documentation along every step of the way. RI criminal defense lawyer Daniel Griffin will make sure you are in control of your case and that all decisions are guided by his advice. You need an experienced RI criminal defense attorney to give guidance on critical decisions related to your case. The Law Office of Daniel Griffin brings priceless insights and a professional perspective to your case that other trial lawyers do not have. With your life at stake, do not delay in contacting RI criminal defense attorney Daniel Griffin. The Law Office of Daniel Griffin’s diverse range of legal services and dedication strengthens every case. All citizens are entitled to and deserve as much information as possible when it comes to their case. While at the Attorney General’s office, RI criminal defense lawyer Daniel Griffin prosecuted many cases during his tenure that lasted years. Additionally, Dan lectures incoming prosecutors at the police chief’s association- an experience not many other lawyers have. He is also invited annually to lecture at Roger Williams University and Rhode Island College. This unique combination of experience and knowledge gives Dan a perspective that isn’t held by too many attorneys. 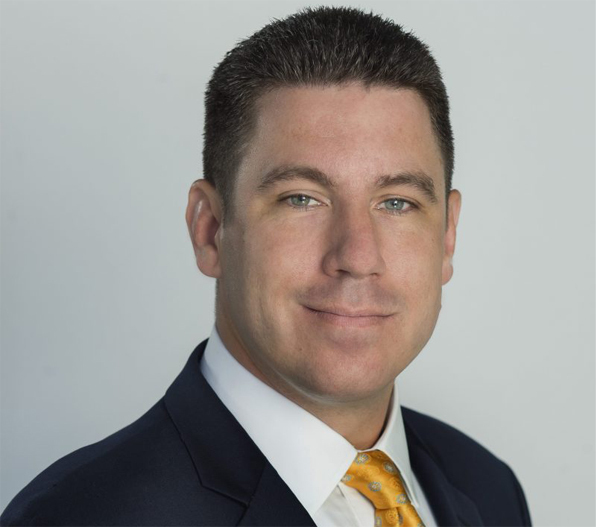 Since RI criminal defense attorney Daniel Griffin started his practice, he has applied all that he’s learned as a prosecutor and marine war veteran to better serve his clients. The trial skills he gained as a prosecutor are invaluable to your case if it is not settled outside of court. Daniel Griffin is a trial attorney who is ready to defend your case. The Law Office of Daniel Griffin is committed to providing each client’s case with the time and focus it deserves. When you hire the Law Office of Daniel Griffin, you get Daniel Griffin. You don’t get someone else. Dan prides himself on the personal service each client deserves. Daniel Griffin is the Rhode Island criminal defense lawyer who reviews, oversees, and tries your case. He is the one by your side from the day you call him. He provides free consultation and is available 24 hours a day. The Law Office of Daniel Griffin provides personal, experienced, and aggressive representation to all clients. Your voice will be heard and your story will be told. Rhode Island criminal defense attorney Daniel Griffin will be the advocate by your side in every step of the way. You may be sitting in the station right now- do not talk to the police- you have the right to remain silent. RI criminal defense lawyer Daniel Griffin can speak to the police on your behalf or advise you to not speak at all. The Law Office of Daniel Griffin will also provide any paperwork necessary that clearly articulates your rights. Attorney Daniel Griffin will take the time to keep you updated regarding the progress of your case. You need immediate counsel to fight for you. The burden of proof falls upon the state to prove you are guilty beyond a reasonable doubt, but this is not something to chance. Your freedom and liberty is too important to wait to defend. RI criminal defense attorney Daniel Griffin will discuss and investigate what can be argued, motions that can be filed, and subpoenas that can be issued. Rhode Island criminal defense lawyer Daniel Griffin knows how difficult being accused of criminal charges can be on your relationships. Facing criminal charges can destroy your reputation and the Law Office of Daniel Griffin is here to help you and your family through this difficult time. RI criminal defense lawyer Daniel Griffin will work with you to minimize the severe penalties by conducting a concise and thorough investigation of witnesses and documents. All parties involved, including the police, will be examined to ensure no evidence that will be used against you was obtained illegally. The Law Office of Daniel Griffin will investigate all facts and angles in his pre-trial investigation and employ any expert necessary to ensure no stone is left un-turned. Daniel Griffin is a trial attorney who is ready to take the case to trial if the plea bargain is not fair or the prosecution’s case is weak. If it is in the best interest of you, RI criminal defense attorney Daniel Griffin will do it. From the moment you call the office, Dan will aggressively defend your case and look at every possible defense. If you have been arrested for any type of misdemeanor or felony, it is imperative that you contact the Law Office of Daniel Griffin right away. Listen to your case and ask you detailed questions about the situation in order to make a fair assessment. Share my unique experiences with similar cases and situations. Explain exactly what your case means for you moving forward, and what the strategy will look like. There are good criminal lawyers…and then there are great ones. Trying to represent yourself or getting a public defender is not ideal, even if it may save you some money upfront. It is always best to hire a private attorney like Rhode Island criminal defense lawyer Daniel Griffin to handle your criminal defense. The skill and dedication of your criminal defense lawyer will have a huge impact on the final decision of your case. Every step your attorney makes should be made to protect your rights to the fullest extent. A Rhode Island criminal defense attorney can save you thousands of dollars in fines and jail time. 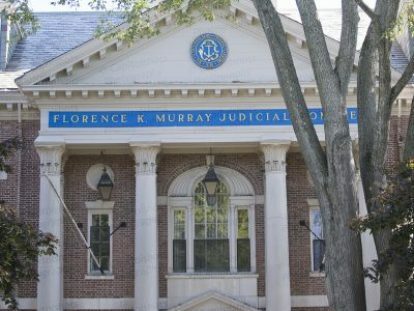 Not many RI lawyers practice criminal defense, and even fewer lawyers have tried cases before a jury or judge. Just because you are charged with a crime does not mean you are guilty. Not every guilty person deserves a punishment that will negatively affect them for the rest of their life. If you have been arrested for a crime, you are feeling scared and confused. It is frightening to feel the enormous strength of the State working against your freedom. Just because you’ve been arrested does not mean you will be convicted. Defendants who have a RI criminal defense lawyer who is willing to fight and challenge the State can often avoid convictions and get their case dismissed or reduced to lesser charges. Rhode Island criminal defense attorney Daniel Griffin will help you win your criminal case explain the effects that different types of pleas will have on your future. we will help with your bail hearing so you can get released as soon as possible. Before going to trial, RI criminal defense lawyer Daniel Griffin will consider every option in terms of a plea bargain. If we have to go to trial, a careful investigation of your charges and all of the evidence against you will be conducted in order to build a strong defense. RI criminal defense attorney Griffin will take a strategic approach from the careful selection of the jury to the opening statements, examination and cross-examination of witnesses and closing arguments. The Law Office of Daniel Griffin will clearly communicate your side of the story while discounting the prosecutor’s case against you. 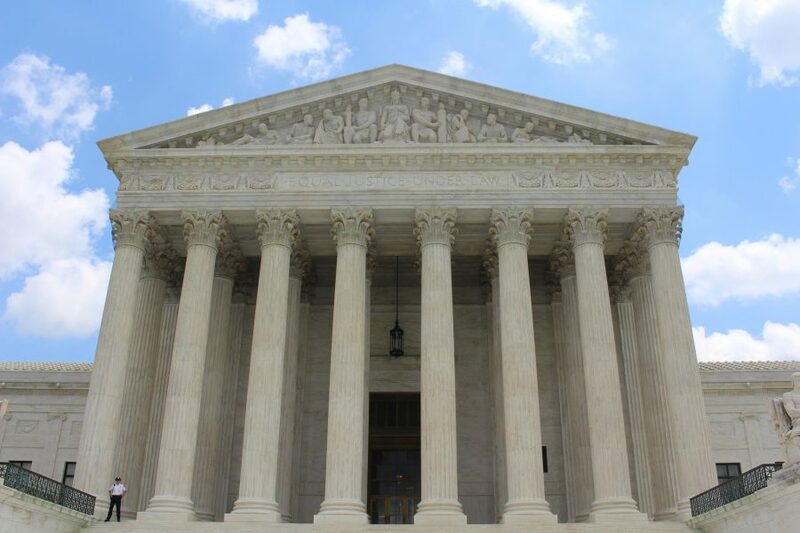 Whether it is a dismissal, reduction of charges or a win after a trial, RI criminal defense attorney Daniel Griffin will make sure you understand all of the legal issues, defenses and consequences involved in your criminal case. The right RI criminal defense lawyer will provide a defendant with an understanding of the charges, available defenses, and plea bargains that can be fought for. The Law Office of Daniel Griffin’s main concern is to make sure clients are afforded all protections under the laws of Rhode Island and the U.S. Constitution.